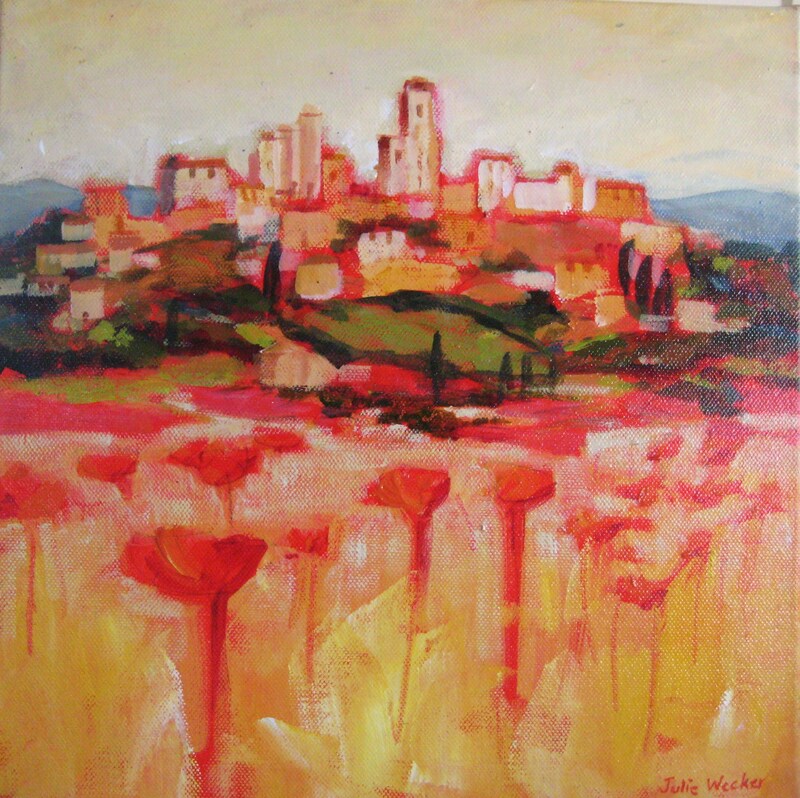 San Gimignano is one of those must see places.While it will be crowded with tourists it is still dripping with character. Wander in though the big entry gates and up the main street. Climb on up towards the bell towers until you reach the top and can see over the beautiful Tuscan countryside. 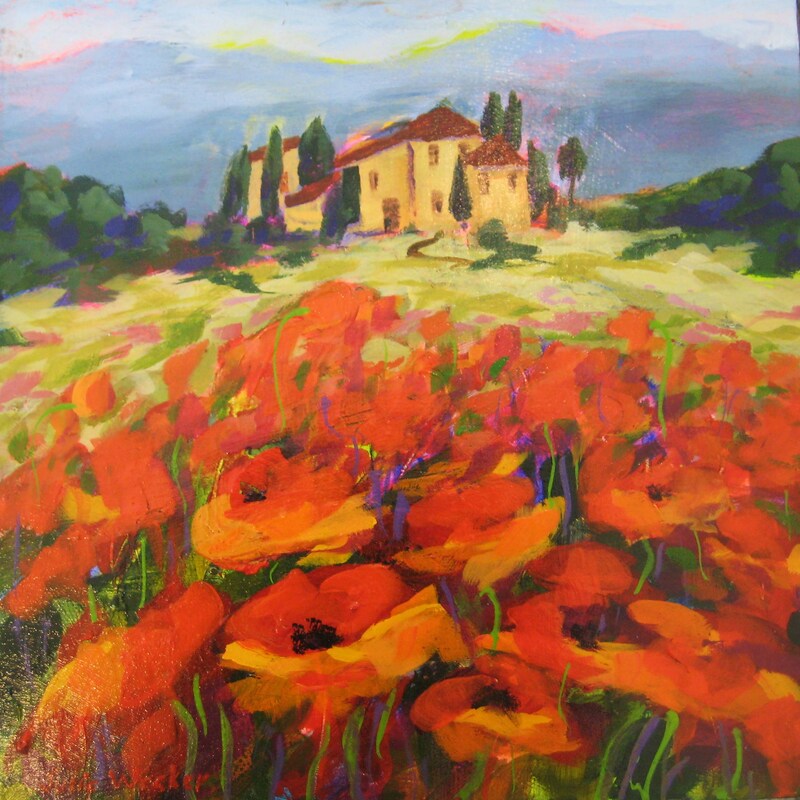 This painting was one I sold over Easter to some fellow Italy-lovers! When we visited here in June last year there was a bridal procession going over this famous bridge and everyone in the wedding party including the guests wore white. It was quite a spectacle. 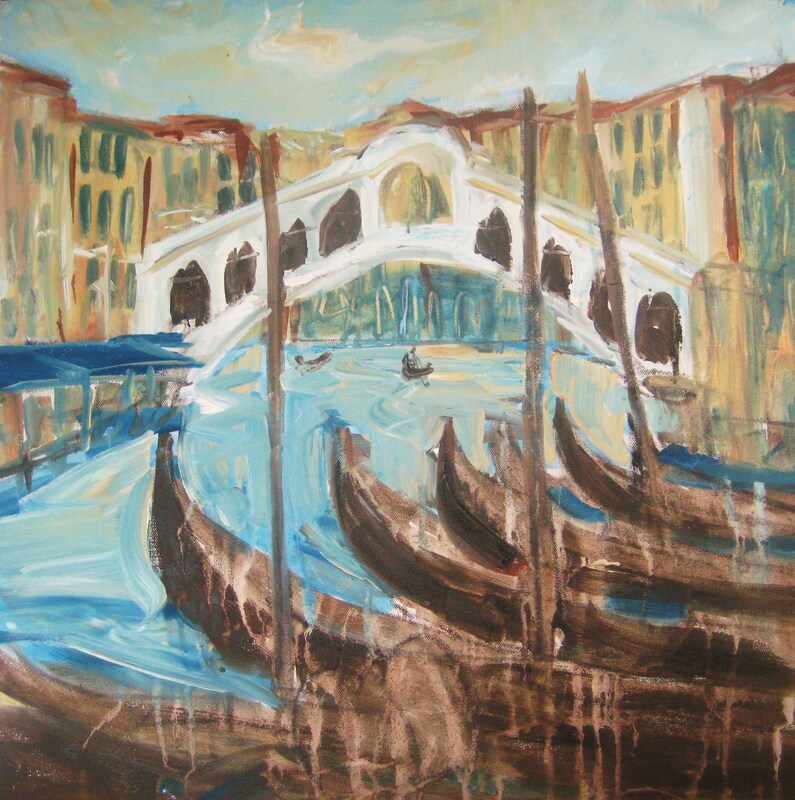 This is my very loose interpretaion of a much loved landmark in Venice, the Rialto Bridge. I wanted to painted an immediate response to this image, limiting my colour palette and using a gold shimmer in the mixes (which you can’t see in this photo) to portray the richness of this wonderfully romantic place.